Keep in mind this process is for human hair and takes alot of time and patience to do it right. I know it's been a while since my last post, but I have a good excuse. I have been on a self imposed "do it for me" fitness gig. I have started working out at the " Y" for 2 hours a day. I am doing water aerobics, low impact aerobics with a chair and weights, walking a mile and half to two miles three days a week, and beginning this Monday, I will be adding Tai Chi. I began by walking 15 minutes every other day back in March, and then increased my distance and endurance every other week. So far, I have lost 20 pounds. I am struggling to break into the 180s, but losing weight slowly is working for me. I am back into my old jeans and delighted about it. This brings me to the other reason for this post. 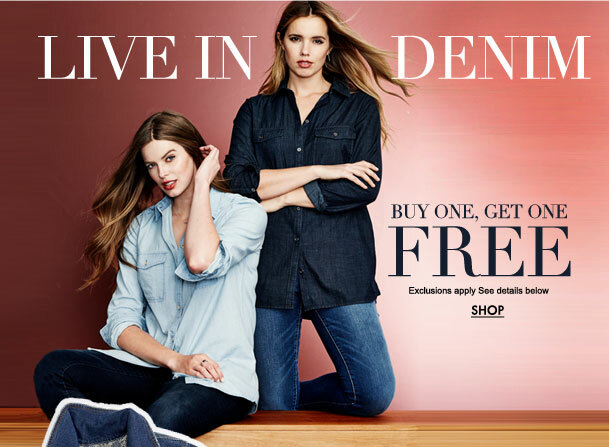 Roamon's has a great 'buy one, get one free' sale on denims apparel today. So check them out while the items last.